The Foundation of Real Estate in Ventura County: Mission San Buenaventura was founded in 1782 by Father Junipero Serra and the City of San Buenaventura was incorporated in 1866. Ventura is located in western Ventura County bordered by the foothills of the Los Padres National Forest, the Pacific Ocean and saddled between the Ventura River and the Santa Clara River. With the Channel Islands National Park fifteen miles off the coast, neighboring cities include Oxnard, Port Hueneme, Camarillo, Ojai, Santa Paula and Fillmore. Other nearby cities include Moorpark, Thousand Oaks, Westlake Village and Simi Valley. The City of Ventura is county seat and home of the Ventura County Government Center, a major employer in Ventura. Ventura's population is Other major employers in Ventura are two hospitals, Ventura County Health Care Agency and Community Memorial Health System. The Ventura Unified School District, the Ventura County Community College District and the city of Ventura are also major employers. Other well known employers are Argon, Hishmeh Enterprises, Taft Electric, Macy's, JC Penney, Target, EJ Harrison & Sons and Patagonia International. With average temperatures of 75 degrees and a Mediterranean climate, nearby mountains, ocean beaches, the Ventura Harbor, the Channel Islands and 31 parks, the environment is ideal for family activities of hiking, sailing, kayaking, golfing, cycling, swimming, surfing and scuba diving. The population in Ventura is *108,817, the median home sale price is *518,100. Exploring and camping in the Channel Islands can be arranged by Island Packers in the Ventura Marina. The City of Ventura supports cultural activities of art walks, music festivals, street fairs, live theater, farmers’ markets and events at the Ventura County Fair Grounds. A walk through historic downtown Ventura, to the new museum and the San Buenaventura Mission add to the activity list with something for every generation. Affordable neighborhoods from the west side, to midtown, to the east end of Ventura attract families for their proximity to Ventura College, Channel Islands University and UC Santa Barbara. The historic Hobson Heights and the hillside Ondulando areas offer views of downtown Ventura, the Pacific Ocean and the Channel Islands, while some ocean front homes in Pierpont Bay offer front door steps to the fresh beach sand. For the boat owner who would like to have a waterfront home they may choose Ventura Keys which is adjacent to the beautiful Ventura Harbor. 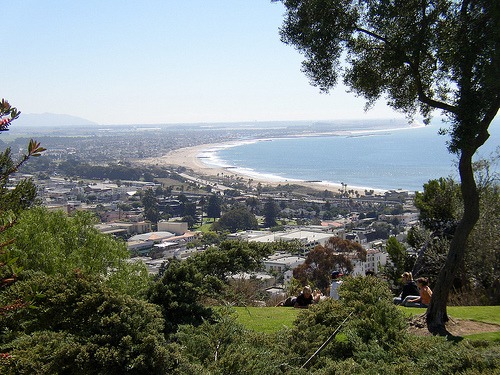 Many Ventura residents think Ventura and its’ many features are among the best kept secrets. Let Pierpont Bay Realty help you find the perfect home for you. Our company's focus is to “Make Lives Better By Investing In Real Estate” as a family home or as a long term investment. The team at Pierpont Bay Realty takes pride in meeting the customer's needs and making every real estate transaction as smooth and stress-free as possible. Whether you are looking for an investment property or purchasing your dream home, put our years of experience to work for you. Give us a call at (805) 656-8000 today! *Population figures are 2013 estimates provided by the U.S Census Bureau. Median home prices are as of Jan,18 2016. Thank you for visiting today. If this is your first visit, take your time and look around. We have plenty of information and resources available to you. Please note that your information is for our eyes only and no information is revealed to anyone without your permission. If you are a return visitor, thank you. We would love to hear from you and tell you how we can serve all of your real estate needs. Click To Return To The Top Of The Page.